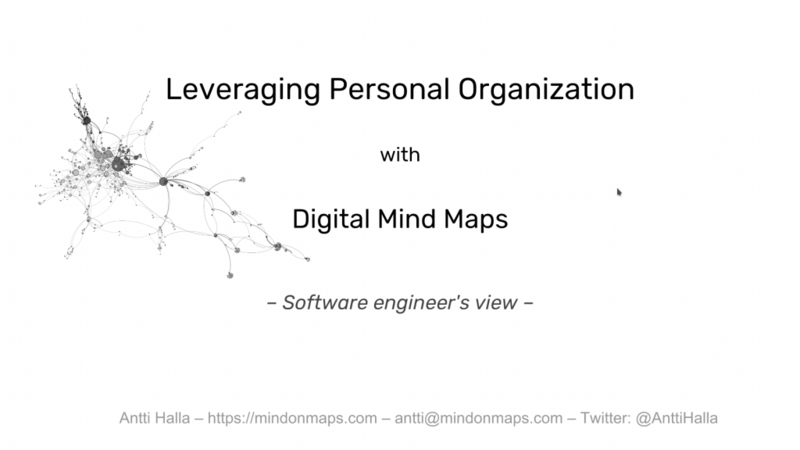 Yesterday I had the pleasure of doing a guest webinar at Biggerplate Business Club, with the topic Leveraging Personal Organization with Digital Mind Maps – Software Engineer’s View. The webinar was recorded, and you can watch the video in full here at mindonmaps.com. I hope enjoy it! Biggerplate is a great resource for all mind mappers. If you want to check out the Biggerplate Business Club, you can use my discount code ANTTI10 to get $10 off the annual subscription. PS. This is my first recorded presentation here. I’d love to get your feedback on it, so I know where to take this from here! Leave a comment, write me an e-email (antti@mindonmaps.com) or drop me a line on Twitter (@AnttiHalla).